Figuring out what Ranch to purchase is not an easy process. However we were fortunate enough to work with Bill George of Colorado Ranch Company who made the process enjoyable. He was knowledgeable on the area, easy to communicate with, responsive, and took the time that was necessary to help us make the decision to purchase our ranch. Bill is a quality broker which is not always the case and cares about his clients. Bill is a very skilled intermediary and allowed both of us to find a win-win which we closed in 45 days. Bill is a doer and a winner. The experience acquiring the B I Bar Ranch and subsequently selling the ranch has been a wonderful pastime in ranch ownership. A big part of the comfort we had in purchasing the B I Bar and the plans we had in place to improve and develop it would not have been the success that it was without working with Bill after the purchase was consummated. Bill didn’t move on after you sold us the ranch, but became an advisor, confidant, and more importantly, a friend. Ellen and I had the utmost confidence in the guidance Bill gave as new ranch owners. As we decided that the development plan became unworkable after the first year we then sought to sell The B I Bar and start thinking about a new plan for future ranch ownership. Even as we listed the ranch with Colorado Ranch Company, we still worked together to continue with some minor improvements including the idea to construct a yurt overlooking the valley and Mount Whitely; just in case we changed our mind. Then, when the time came to sell, Bill worked closely with us to ensure a smooth closing and transition to the new owner. The closing was scheduled for under 30 days. And it closed on the originally scheduled closing date — a perfectly smooth process. This has been a truly wonderful experience and we look forward to our continued friendship both personally and professionally. We immediately recognized Bill as an excellent ranch broker and wanted him to represent us, but he was already representing the seller. Clearly, a broker representing both parties of a transaction can be a problem, but not in Bill’s case. Bill is amazingly honest and completely transparent. We were absolutely satisfied with the quality and efficiency of Bill’s work on our purchase and can recommend Bill George without reservation. William George had the best interest for our family. He found a perfect buyer that loves the property as much as we do. He was attentive, informative and AVAILABLE throughout the process. I highly recommend William George and Colorado Ranch Company. Bill was a fantastic partner to us over our several year journey of hunting for a ranch. Our desires and priorities in a ranch shifted several times and he patiently listened to understand, asked more questions, and gave us options. He was committed to find the piece of property that was right for us. Bill’s background and knowledge were very helpful to us in our process. He was able to point out Pro’s and Con’s to issues we hadn’t even considered. Through our time together, he educated us about many facets of mountain land ownership that we simply hadn’t experienced yet. This interaction not only built up our trust, but also helped us refine what was important and not so important to us in our search. Always accommodating yet not afraid to offer his opinion, Bill consistently had our best interests in mind. Two thumbs up and highly recommend him for any real estate work! I can’t say enough about how positive our experience was with Bill in our recent purchase of a ranch he had listed. Bill is a first class, high integrity professional that knows the ins and outs of ranches better than anyone else I have ever encountered in the ranch real estate business. Bill worked with us over a four month period on due diligence and negotiating the sale/purchase in a deliberate and forthright manner. There were numerous issues to learn about and resolve like water rights, rebuilding a reservoir dam, boundary lines, a ranch caretaker, home and well/septic inspections, neighboring ranch lessee, hunting, grazing permits on BLM land and the list goes on. Bill cheerfully provided his expertise and negotiation skills on most of these things and where he wasn’t qualified or authorized, he referred us to the proper regulators or subject matter experts to get answers and the work performed. Bill was available whenever I tried to contact him and he was professional and thorough in his follow up to everything I asked of him. He made the overall experience pleasant and gave us the confidence to proceed. We are very appreciative of everything he did to make it happen. We couldn’t be more pleased with the purchase. I highly recommend Bill for anyone thinking about buying a Western ranch. Of the twelve properties that we have bought and sold over our lives, we have worked with many excellent and professional brokers. But this property was clearly the most challenging to market and Bill stands out as the hardest working and most effective broker with whom we have ever worked. 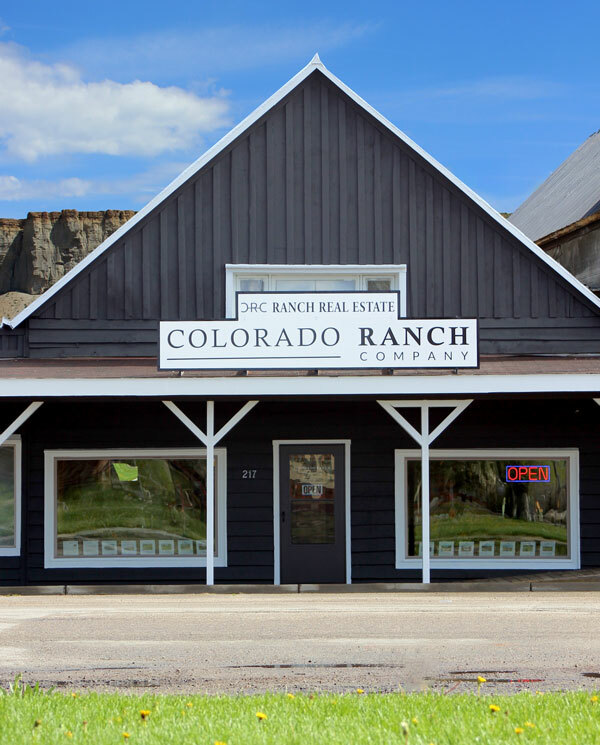 We listed our 444 acre ranch property with Bill at the Colorado Ranch Company in the spring of 2015. An offer was submitted within a month. Bill advised us to wait as this offer did not meet our asking price. Fortunately another offer was made within a couple months which was acceptable. During the 60 days prior to closing, Bill was very responsive to every detail and question that arose. Both Bill and Carrie were extremely conscientious of our concerns and worked together as a team to make this sale happen. We would definitely recommend contacting Bill George to anyone interested in selling or purchasing ranch property. Bill is just the best! In a 3-year search for a place in the Pagosa Springs area he went above and beyond. He was always willing to travel beyond his territory to show us any property we thought might have possibilities. He always gave us honest answers when we had questions. His knowledge was impressive and if there was something he wasn’t sure about, he would find the answer. When we found our place Bill was always so good to take on responsibilities that were again above and beyond his duties as an agent! His actions were as though he were the purchaser of the property! He made everything so stress free by attending to details that would have meant more travel from Texas for us! I feel so blessed to have had Bill as our real estate agent and now a friend! He truly is the best and a 5 star guy in all areas. Bill was a pleasure to work with. He went above and beyond to help us find the perfect mountain home. It was a three year process and he continued to search until he found a place that we were happy with. I am in the very early stages of a potential large land / ranch purchase in CO. When you tell most brokers about that, they get very hard to reach when you call or email. When I told that to Bill, he sat back and said, “how can I help?” He spent several hours with me on the phone, doing joint internet searches and giving me general information about the Colorado ranch world. He pointed out situations and things to ponder that I had not even begun to consider. During our latest work together, Bill spent three very long and action packed days with my entire family driving us to various ranches that we had asked to see. He was a continuous fountain of information and worked extremely hard for us those three days. I have ZERO doubt that Bill George will be our broker when we purchase our property in the future. I am also very confident that, because of his efforts, we will be positioned to make an excellent decision on exactly what and where to buy. We moved from south FL to Golden, CO mountains. Big move! We could never have done it without Bill George. He is one of the most honest, diligent and well versed men we have ever met. He spent hours, days and weeks with us. If he didn’t know the answers, he researched them. He went above and beyond to help us find the right property. He is intelligent and educated in so many areas. We can’t even begin to explain. We recommend him to everyone! It doesn’t matter what you are looking for. He will put in 100% to help you find and close your deal. HE IS BY FAR THE BEST AGENT EVER! Bill helped us purchase our vacation ranch property in Summit County. The process took 6 months and Bill worked diligently to help us decide what was best for our family. He even traveled several hours away to see a property for us that was well out of his territory. A lot goes into purchasing ranch property, particularly for those of us who have limited experience in these transactions. His knowledge of the local area was unmatched. We felt very comfortable using him as our buyers agent even though he was the listing agent on the property. He was able to work both sides of the fence and we truly felt he had our best interest at hand. He is upfront, honest and very knowledgeable in ranch properties. We highly recommend Bill and would use him again in a heartbeat. Bill George always did a good job of communicating and handling the processes of the transactions that were needed to finalize the sale of the Hinton property. Well done! Bill George helped us to find our ranch in Toponas, Colorado. He went above and beyond to represent us and the sellers. He spent numerous hours on research and totally helped us handle all the legal issues with the water rights, mineral rights, and the history of the ranch and previous owners. Bill is very personal, we have found a new friend and respect him for his truthfulness, he cares about you as a person as well as a client. We would never use any other realtor after working with Bill, he helped us to understand the contracts so well and explained things to us as well as our children beyond his call of duty. Bill made this ranch a possibility for us and made it happen. Knowledge, personality and determination. Bill George is top notch in all three. Bill excels in agriculture, outdoors and marketing. Through out the whole selling process, Bill was more of a partner than a “selling agent”. He kept in great contact and kept up us updated. Given that there were some unique situations with the seller and buyer, Bill found ways that would work for both parties involved. Even after the closing Bill still continues his attention to detail. Bill helped coordinate a very complex transaction. He helped negotiate with many parties involved and provided us with far and beyond the typical services of a real estate broker. We were very pleased with Bill throughout the process and would highly recommend him. Bill is honest, hardworking and has integrity and he will not disappoint.